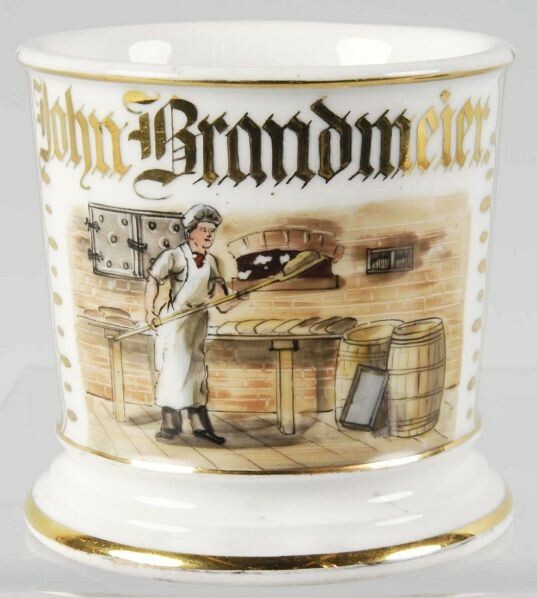 Occupational Shaving Mug for a Baker with gilt name “John Brandmeier”. Shows a baker removing loaves of bread from the oven. Beautiful full light blue wrap. T&V Limoges France mark on bottom. 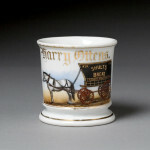 Size 3 – 1/2″ T.